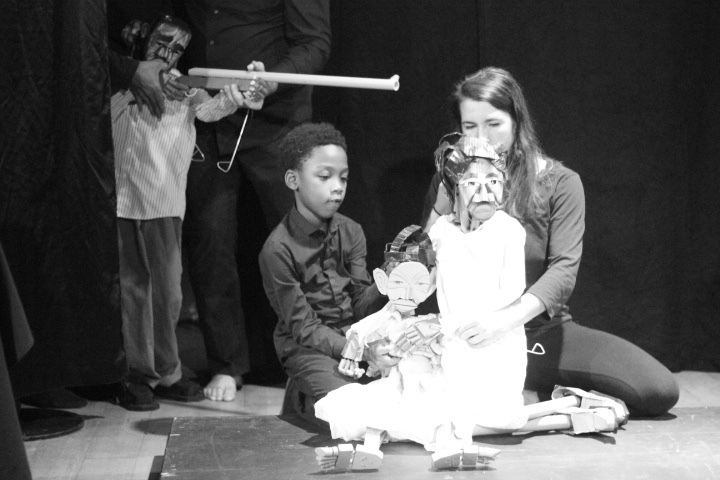 The cardboard pickup truck drives through the audience, blinding people with its headlights, in Tarish “Jeghetto” Pipkins’s puppet show “Just Another Lynching,” which will be performed at Brookline’s Puppet Showplace Theater this Thursday and Friday, Nov. 8 and 9, at 7 p.m. While Pipkins is in Boston, he’s an artist-in-residence at Boston University. So he’ll also be participating in an “Afrofuturism Panel Discussion” with Barrington Edwards of Studio Vexer and Joel Gill, a professtor at New Hampshire Institute of Art and creator of “Strange Fruit Comics,” on Wednesday, Nov. 7, from 7 to 9 p.m., at Boston University’s College of Arts & Sciences, 685 Commonwealth Ave., room B12. He’ll lead puppet making workshops on Saturday, Nov. 10, at 10 a.m. and 1 p.m., at Boston University’s GSU Alley, 775 Commonwealth Ave., lower level. And he’ll perform in the Boston University Puppet Slam on Saturday, Nov. 10, at 8 p.m., at BU Central, 775 Commonwealth Ave., lower level. These Boston University events are free and open to the public, but registration is required. Pipkins, who is based in Chapel Hill, North Carolina, grew up in a small steel mill town called Clairton, located south of Pittsburgh, and then Pittsburgh. In the late ‘90s, he performed poetry and did live paintings with the BridgeSpotters Collective. After moving to North Carolina in 2005, he got into puppetry, and performed his shows in the streets. 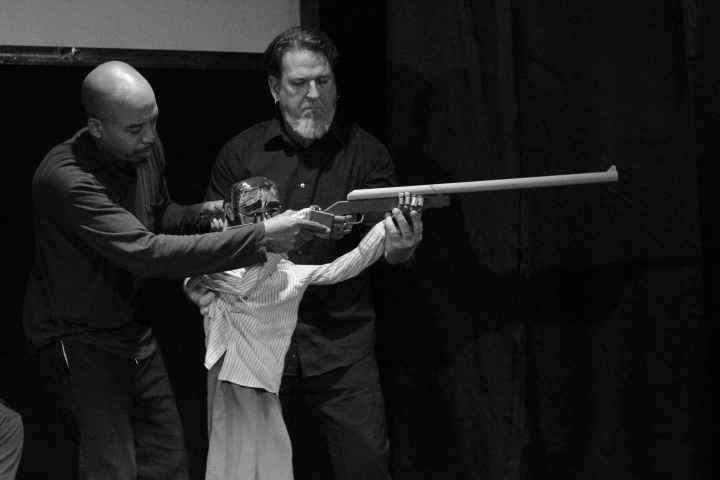 He began working with Paperhand Puppet Intervention in 2008. For rapper Missy Elliott’s 2015 music video, “WTF ( Where They From),” he helped with building puppets and performed the Pharell marionette. 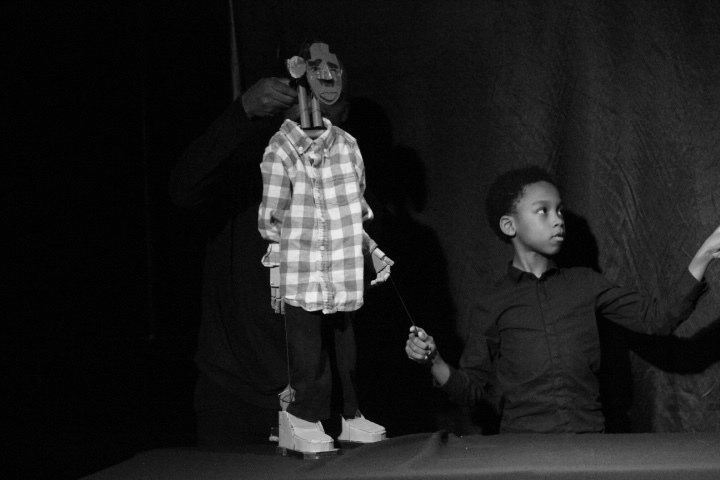 His work has been presented at the Brooklyn Academy of Music, the Chicago International Puppet Theater Festival, and at Blackspace, an Afrofuturism arts collective and makerspace in Durham, North Carolina. 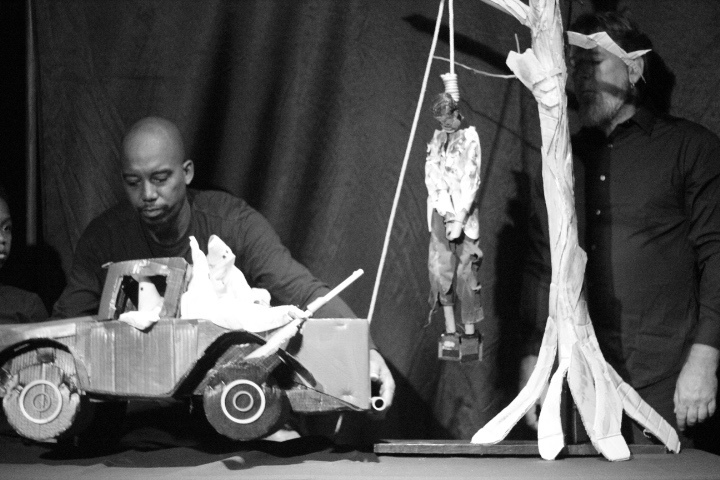 Pipkins performs “Just Another Lynching” with puppets that are 3- to 4-feet-tall, made of cardboard and PVC pipe and wood, dressed in children’s clothing. They are operated Bunraku style, with two performers controlling the acting of each puppet.